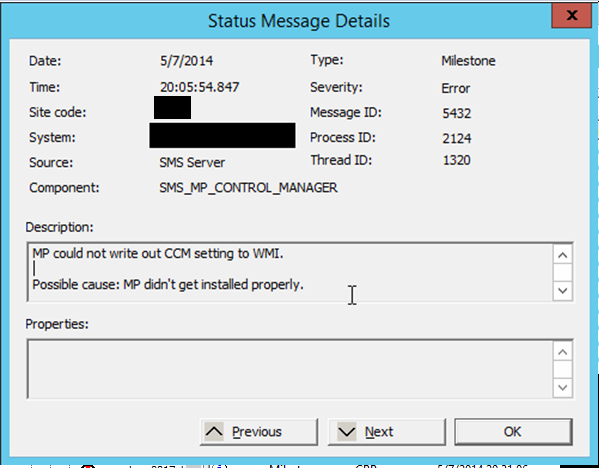 MP could not write out CCM setting to WMI. 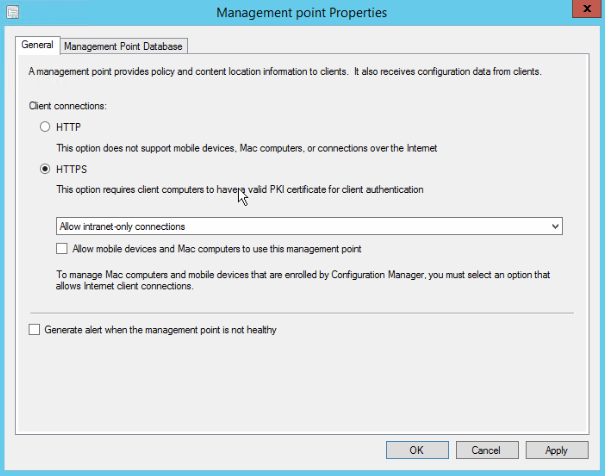 Over Internet you will find that this error associated with System Center 2012 Configuration Manager but I stumbled upon it on System Center 2012 R2 Configuration Manager on Windows Server 2012 R2. I’ve restarted the SQL server. 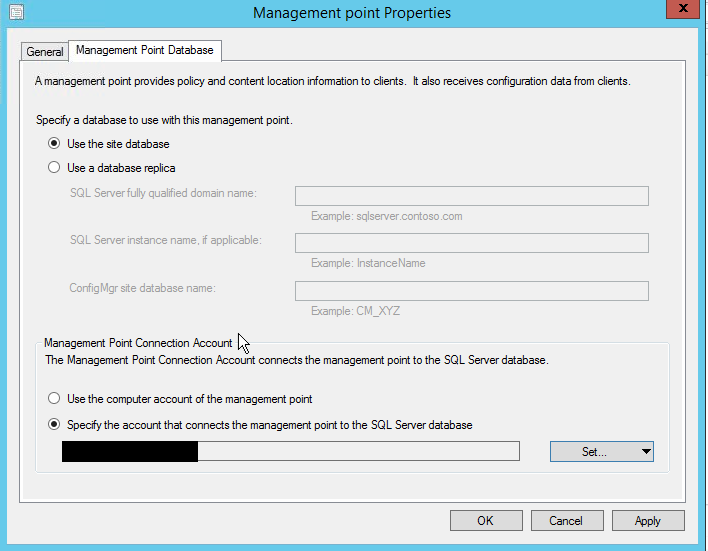 I’ve restarted the SCCM Management Point server. Changed the account of the Management Point. As this didn’t worked I’ve returned the configuration back to the computer account. Changed Client connections from HTTP to HTTPS. Didn’t gave a result. As you can see the Management Point was repaired and reinstalled. The Management Point was responding to HTTP request and status changed to Online. Hope this will help you if you encounter this issue.